10.1" x 15.1" stitched on 14 count. 7.8" x 11.7" stitched on 18 count. Lord God cross stitch pattern... 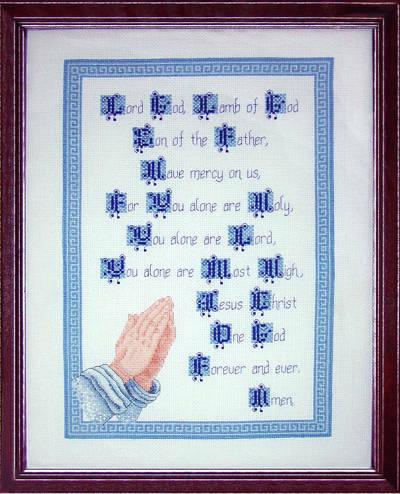 This is a counted cross-stitch design of the familiar Lord God prayer complimented by an image of hands in prayer. It is a partner to Praise God. Partial stitches are used to enhance the delicate curves of the hands in prayer.